I spent some time as a teenager in the 90’s in West Hollywood and Glendale etc. mingling with the immigrant Russian and Armenian communities. I remember eating some amazing Armenian food. So good I can still taste it. @Beautiful sky will you share your recipes??? I’m especially searching for a kind of meat or potato filled bread. But others would also be cool if you are willing to share. EDIT: okay, so it looks like my heading accidentally is written in a very ridiculous way. Obviously I meant “Armenian — filled dumplings/bread” and not that the bread is filled with Armenian people. Ahhhhhh yikes. Is there a way to change the heading??? oh yeah. 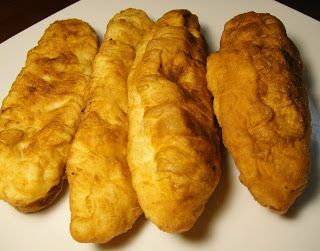 It's the Armenian version of Pierogies - instead of boiled they are fried or you can even bake them for low calorie version. My mother has the best recipe and I will share that with you. Let me grab my cook book. Yes, that is what they looked like. Thank you. I love a hand-written family recipe. Generous of you. Not only that but I have not been able to find these online matching that photo anywhere. I wonder why. How much flour in the dough? Do you just eyeball, adding until it comes together as a dough? I can estimate the salt in the filling but how much in the dough? Also please can you elaborate on the method? Do you roll it out and then fill...? How is it done. Any other tips? I’m an experienced cook/home baker but have never made these or similar. Okay, I will watch. Thanks! 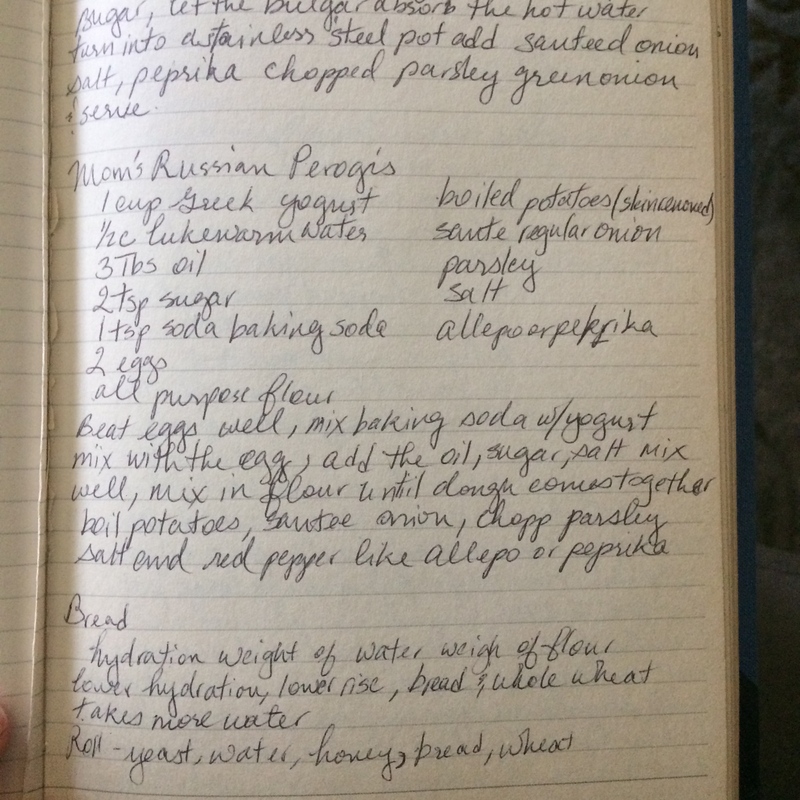 I love a hand-written family recipe. "The orientation of main functional block of EII: the conditions of normal life, harmony in human relations, the observance of ethical norms and morals, conservation of traditions. For purposes of this, EII devotes herself to improving and perfecting ethical values, strives to teach and cultivate moral refinement and spirituality in others, seeks veritable qualities in people. Generous of you. Not only that but I have not been able to find these online matching that photo anywhere. I wonder why. When you work with dough it is always best to understand that it is by feel. Dough is develops by many factors that influence it like weather, altitude, climate. So it is never in my opinion an exact science. You can do two cups and see if it comes together. However you may live in an especially humid environment where you may require more than that exact measurement. So it's up to where you live. in the dough you should probably put no more that two pinches (hearty pinches). This is also one of those things that's by taste. As you taste the final product you can try to put more or less to see how it tastes for you. The video is a good reference. Thanks again. I'm really excited to make these. I've actually been sick for a while (a few months off and on with different issues) so haven't had time to try new recipes in a while. But anyway I'll let you know how the recipe turns out! just ate weight watchers chicken salad recipe along with homebaked potatoes that were seasoned perfectly. Not anything fancy or special but mmm it sure tasted good. Ugh I just want more and more. but I stopped myself. I made our own video series. You have to excuse my ILI mother. She's the critic so you will hear her a lot in the background fussing and criticizing. don't use a whisk like I did once the flour goes in. We recommend you use 3-1/2 cups of flour. Last edited by Beautiful sky; 04-18-2019 at 12:12 PM. Thank you so much for doing this!! I want to make them this next week and I’ll check out your videos in the next two days. I have a thin and beautiful IEI friend who has been known to eat an entire pie. Do you have trouble with self control or is that just the human condition? Last edited by Beautiful sky; 04-18-2019 at 03:39 PM. Okay, thanks for all the tips. I bake bread a lot so this will be fun. We had dough left over and we made donuts with it by frying it without the filling and sprinkling powdered sugar on top . My husband ate all of them. Last edited by Beautiful sky; 04-19-2019 at 11:22 AM. i just watched these. This will be a really helpful guide. So nice of you to do this! I’ve been literally waiting to eat these again for more than 20 years. Hahaha, I was going to point out this.